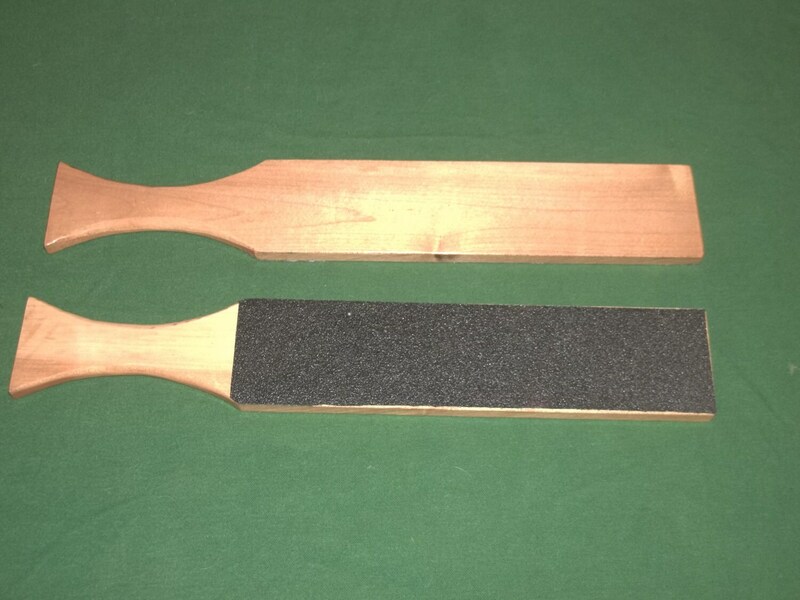 This is our nice n' evil paddle. One side is the nice smooth side and the other is the evil side which has a rough tread strip to help get your point across. 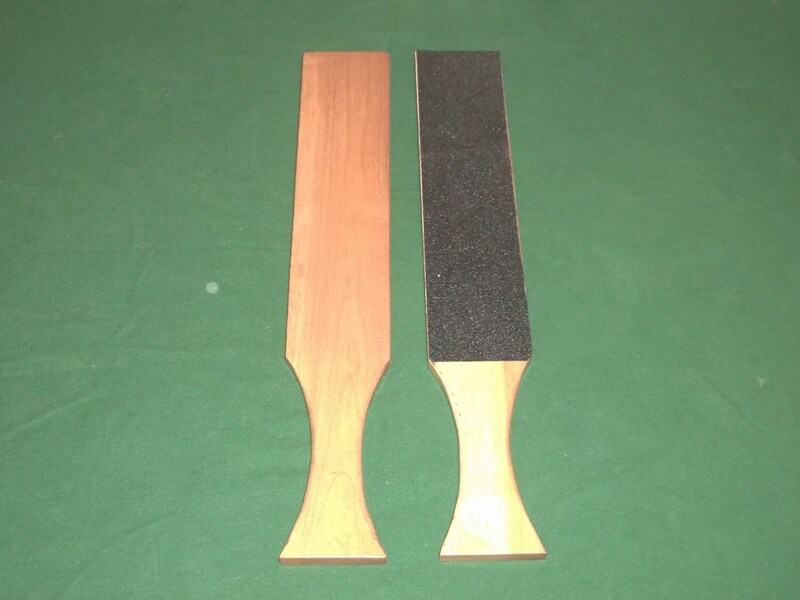 This paddle is approximately 15" from end to end, is 2 1/2" wide and 1/2" thick. HOWEVER, as with all items from my store, please play safely. These items can cause serious injury if used improperly.